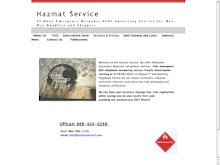 Return in pdf format along with SDSs to receive 24 hour Hazmat Emergency Response 800 Number / International Number and Contract Number to satisfy all DOT requirements for Hazmat Handlers and Shippers. Hazmat Service will help you remain in compliance by providing your 24 hour Hazmat Emergency 800 Response Number for all your hazardous material shipping. The requirement regarding the Hazmat Emergency Response information is contained in 49 CFR, Part 172, Subpart G. The hazardous material emergency response number / hazmat 800 number must be maintained at all times that a shipment is in transit. The use of beepers, answering machines and switchboards is not authorized. 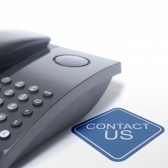 The hazmat 800number must be to someone capable of providing information on the material. Written emergency response information must be appropriate for the hazardous material being transported. 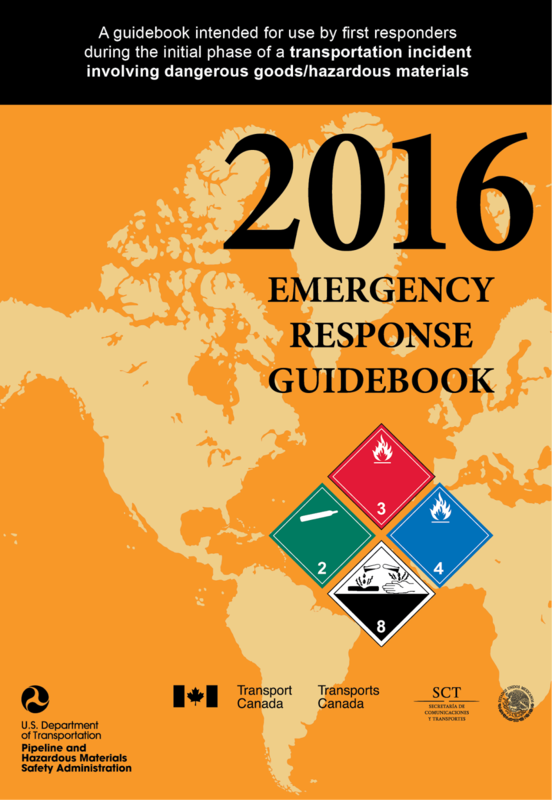 2016 ERG Book Click Here To View in pdf. HMX - Hazmat eXpress Inc. Freight Forwarding Company: handling domestic as well as international Hazmat Shipping needs. Let Hazmat eXpress take the worry out of your next International or domestic Hazmat shipment. Shipments in need of a Haz-Mat 800 number or International emergency response number for the Haz-Mat freight shipped through HMX can obtain at the time of shipment. Almost 30 years ago, Joe Ciolli, co-founder of Haz-Mat eXpress, Inc (HMX) realized the expressed need that hazardous and perishable cargo be a specialized area in the freight forwarding industry. First in the world to offer such a service, shippers and forwarders alike have counted on the expertise of HMX, Inc. to reduce their risks and keep them in compliance with the regulatory associations and organizations involved. Solutions provided in the following: chemical industries, paints, perfume, pharmaceuticals, pesticides, waste management, automobile, aerosols, machinery,etc. 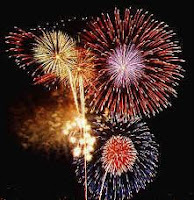 Stay in compliance and register for yearly 24 hour emergency response 800 hazardous materials number with hazmat contract number availability for all Haz-Mat Class 1.3 (Display Fireworks) and Haz-Mat Class 1.4 (Consumer Fireworks). Receive 24 hour emergency response 800 hazmat number with hazardous material contract number today and satisfy all DOT regulations. Stay in compliance and register for yearly 24 hour emergency response 800 hazardous materials number with hazmat contract number availability for all propane handlers. Receive 24 hour emergency response 800 hazmat number with hazardous material contract number today and satisfy all DOT regulations. Tue, Dec 2 2014 By Ben Klayman and Chang-Ran Kim DETROIT/TOKYO (Reuters) - U.S. auto safety regulators said Takata Corp's response to an order to expand a recall nationwide was "disappointing", criticizing the Japanese auto parts supplier for shirking responsibility over its potentially deadly air bags. 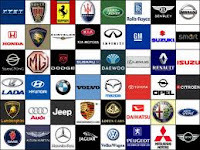 Takata, at the center of a global recall of more than 16 million cars in the past six years, had until Tuesday to respond to the National Highway Traffic Safety Administration's (NHTSA) order to expand a regional recall and replace driver-side air bags from across the United States. Takata has not made its response to NHTSA public, but a spokeswoman in Tokyo said the contents echoed a statement by the company's chief executive on Tuesday. In that statement, Shigehisa Takada left the decision for a nationwide recall up to automakers, and made no mention of whether Takata was admitting that its air bag inflators were defective, as ordered by NHTSA last week. "Takata shares responsibility for keeping drivers safe, and we believe anything short of a national recall does not live up to that responsibility," NHTSA said in an email to Reuters. The regulator said it would review Takata's response to determine its next steps. In ordering a nationwide recall last week, NHTSA said it could begin steps to fine Takata up to $7,000 per vehicle not recalled, as well as force a recall. The maximum penalty under current law is $35 million. At least five deaths have been linked to Takata inflators, which can explode with excessive force and shoot shrapnel inside cars. Takata faces a criminal probe, more than 20 class action lawsuits, and congressional scrutiny over its inflators. The company supplies around a fifth of the world's air bags. Japanese government officials have expressed concern that Takata's repeated recalls could dent the reputation of the country's auto industry. One official, who asked not to be named, said it would be "disastrous" for Takata not to comply with NHTSA's demand. 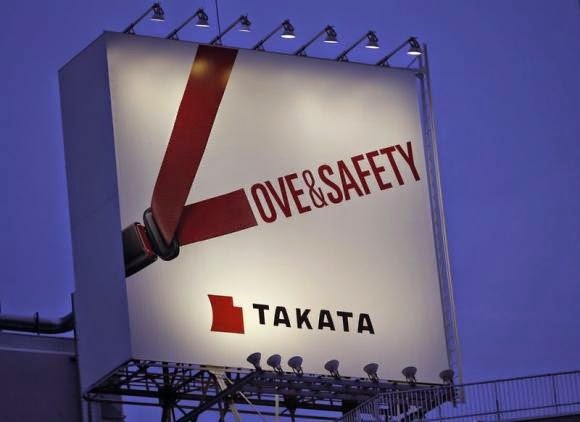 "MUST DO MORE" In his statement released on Tuesday in the United States, Takada outlined steps aimed at demonstrating Takata's commitment to safety, including forming an independent panel to audit its manufacturing procedures. Takata has recruited three former U.S. transportation secretaries to help it navigate the growing crisis. Samuel K. Skinner, a former White House Chief of Staff and U.S. Transportation Secretary, will lead an independent quality panel, while Rodney Slater and Norman Mineta will advise Takata. A report by the panel headed by Skinner on Takata's manufacturing processes will be made public, Takada said. He said Takata would take "dramatic actions" to increase output of replacement air bag inflator kits, including working with rivals and examining whether their products can be used safely. "I know we can and must do more," he said. CONGRESSIONAL HOT SEAT Takata's announcement comes ahead of a second congressional hearing on Wednesday that will likely focus on Takata's response to NHTSA's order. Hiroshi Shimizu, Takata's senior vice president for global quality assurance, said in prepared remarks that a phased-in recall should give priority to U.S. regions with higher humidity - believed to be a factor in some air bag ruptures. Honda North America Executive Vice President Rick Schostek said in his testimony that a national recall would lead to parts shortages, but the Japanese automaker was "seriously considering" it for driver-side air bag inflators. Toyota North America Vice President Abbas Saadat said in his testimony that the automaker wanted "additional assurances about the integrity and quality of Takata's manufacturing processes." Toyota and Honda called on Tuesday for independent industry-wide tests of Takata air bag inflators subject to recalls.